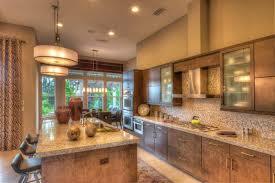 Nocatee painting contractor; interior painting and exterior painting. Nocatee painting service! Pro Color Painting Company is a locally owned painting service; our painting service professionals have the experience & knowledge to produce the most efficient results painting your Nocatee home. Delivering the highest standard painting & waterproofing. A detail oriented & quality conscious painting service in Nocatee, we have built a solid reputation founded on completed projects on time & within budget. Be sure to view our online reviews to see what our customers say about the high quality craftsmanship and extreme customer service they have received. Nocatee painting services include: Interior Painting or Exterior Painting, Power Washing, Jacksonville wood repair, epoxies, drywall repair and Waterproofing. We aim to build trust by delivering the highest quality product on time, every time. Here at Pro Color Painting Service we take great pride in our work and it shows in every facet of our painting services in Nocatee. 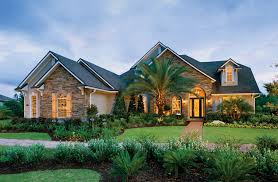 Nocatee homeowners contact us for your FREE QUOTE! At Pro Color Painting Company, we make the whole painting process easy for you. We come to your Nocatee home, collect information, take pictures and provide you with a detailed, comprehensive free quote as to review. Call or fill out the contact form, include your email, phone number and a method of contact. A staff member will get back to you and set up an appointment. You have made the decision to give a whole new look to your Nocatee home. That’s where our Nocatee painting service can assist you with customer service and value! It is much more efficient to hire a pro painting service for your home. Contract to a professional painting service in Nocatee, instead of going at it on your own. Then you are assured to get the highest quality and value for the amount you spend. Where is best to look for a good house painting company. By asking around, to your friends and family may be a good start. Professional house painters in the Nocatee area that have proven themselves. You can also have a look at the local internet to get an idea of which painting companies service Nocatee. When you come across a Nocatee house painter, keep in mind several relevant factors. Check client reviews and note the amount of trusted reviews. The web can be very effective to look for reviews about house painters in Nocatee. Always ask the painting contractor to provide references. Then you can choose whether it is the right painting service based on several factors. ​Always be sure to have an idea about the expenses and scope of work involved. Inquire about the amount of insurance they carry. This is very important for your financial safety. Don’t be afraid to express your own ideas and style to be incorporated into the painting project. It is better if you can get you own special tastes and selection of finishes as to enhance your personal style. A professional painter has the experience and knowledge to apply your ideas on your “canvas”. After all you’re the one who will be enjoying all the fresh new results of the Nocatee paint job! 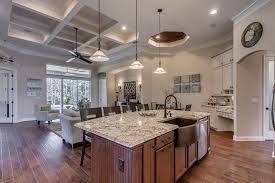 Don’t hesitate to contact the best painter in Nocatee area. We offer value and professionalism many painting services can’t even comprehend!